It was thanks to Princess Diana that Children with Cancer (formerly Children with Leukaemia) came to be. She personally helped the O’Gorman family to found the charity and inaugurated it on 12 January 1988. 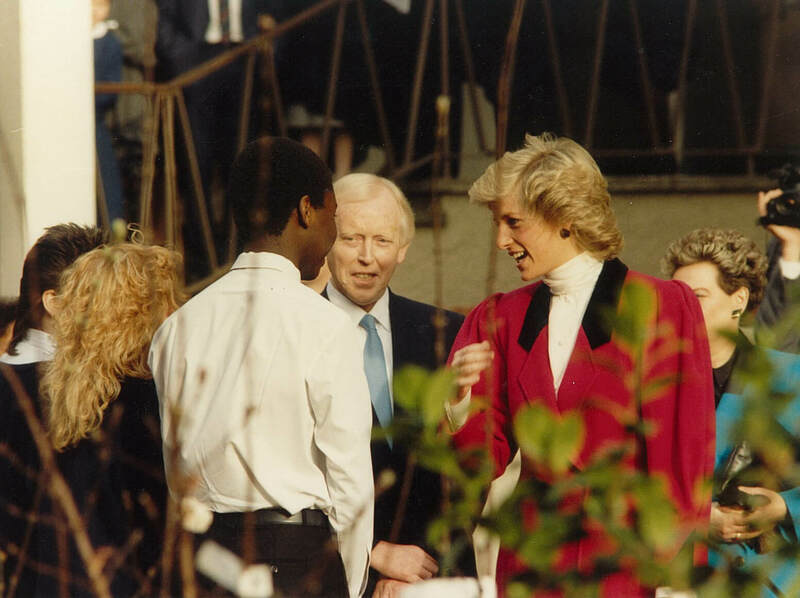 Until Princess Diana’s death in 1997, she remained in touch with our work; we will always remember her with fondness, gratitude and pride for the achievements that she made possible. “My 14-year-old brother Paul died of cancer in February 1987, followed just months later by my sister, Jean. Our tragic story made the papers and, completely out of the blue, Diana contacted us saying she’d like to help us. She came to a cancer-fundraising event my parents were helping to stage and sat with my mum during the interval looking at pictures of Paul and Jean, and hugging her while she cried. She then came to plant a memorial tree at Paul’s school and suggested starting a charity to raise money in his name. Normally that setting-up process can take several months, but she got her staff to sort it out in days. The fact that she was prepared to get involved in a low-profile family project said a lot about her, I think. In support of the 20th anniversary, Cliff will be appearing in the Sky 1 documentary ‘Diana: The People’s Princess’, which will air at 8pm on Tuesday 22 August 2017 and again at 8pm on Sky News on Wednesday 23 August. We’ve been fighting cancer, giving hope and saving lives since we were founded. Diana, Princess of Wales inaugurated our charity in January of 1988, in memory of 14-year-old Paul O’Gorman and his sister Jean.